It seems like most people are suffering from some sort of allergy. Whether it’s symptoms from a nasal allergy, food allergy or contact allergy, it can be frustrating and at times, debilitating or life threatening. I recently had the opportunity to speak with Dr. Amber Burnette, MD of Kaiser Permanente who specializes in allergy, asthma & immunology. 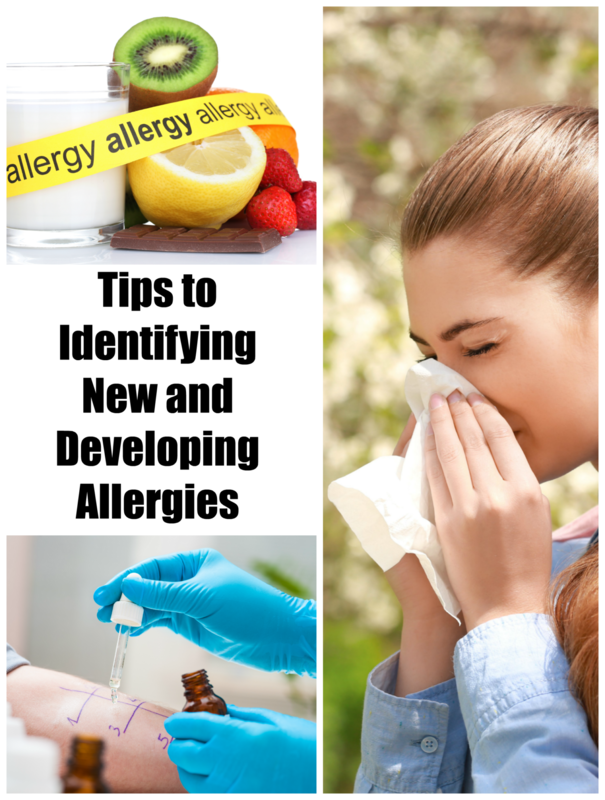 She shared common symptoms, treatments and tips on new and developing allergies. Merriam Webster defines allergy as, “an altered bodily reactivity (such as hypersensitivity) to an antigen in response to a first exposure”. It is also defined as, “an exaggerated or pathological immunological reaction (as by sneezing, difficult breathing, itching, or skin rashes) to substances, situations, or physical states that are without comparable effect on the average individual”. 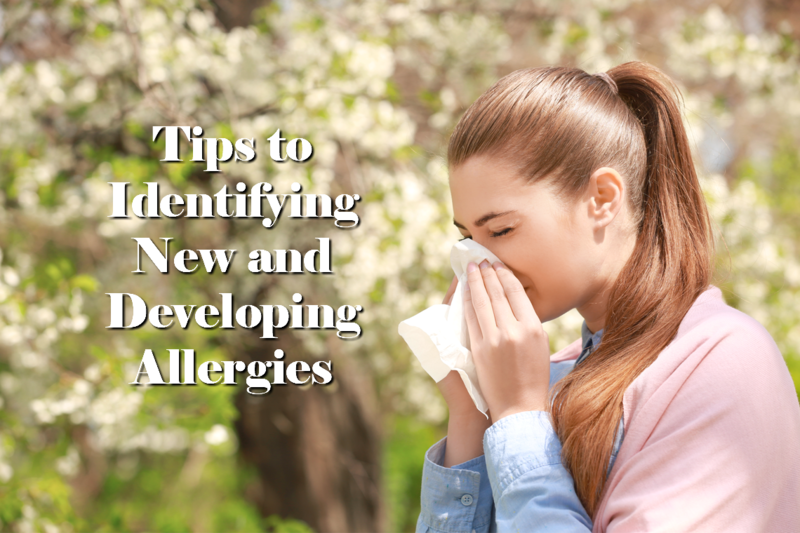 If you suffer from any type of allergies, you already know, that a particular allergen you have come across has irritated your body in such a way that you’re uncomfortable, and at times, miserable. When it comes to nasal allergies, many people misinterpret what they are experiencing as the common cold. With a cold, you’ll experience fatigue, body aches, and feeling lousy for a few days. Eventually you’ll feel better. However, with allergies, many symptoms are chronic and experienced for an extended period of time. With every symptom, you’re left feeling pretty awful. And if you’re experiencing several symptoms at once, it can be miserable. Dr. Burnette also shared that you can develop allergies later in life. However, developing allergies in your 30’s 40’s, and 50s, is usually a non-allergic rhinitis (nose problem) that tends to cause sinus pressure and post-nasal drip rather than itching and sneezing. Non-allergic issues tend to be caused by irritants in the air, for instance: cleaning products or chemicals, perfumes, cold air, and scented lotions. The best way to deal with this type of allergy is to simply stop using whatever product that causes the irritation. 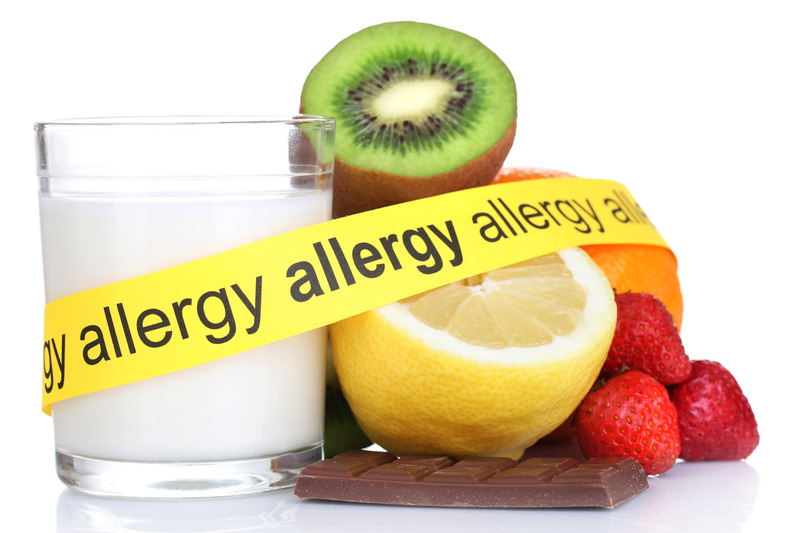 Avoidance: When you are first diagnosed with an allergy, the first recommendation is to avoid the allergen altogether. For instance, if you’re allergic to grasses and trees, or an animal, take steps necessary to limit exposure. For a dust mite allergy, washing sheets weekly and limiting stuffed animals can be helpful. Medication: There are several options that can assist with allergies, such as saline nose sprays or rinses, oral antihistamine allergy pills or liquids, and nose sprays. Your physician can recommend the best medications for your symptoms. Allergy Shots: Allergy shots decreases the sensitivity to the allergen. These shots can work on up to 70% to 80% of individuals suffering from allergies, and decrease the symptoms between 60% and 80%. The course of treatment runs from 3 to 5 years and makes a lasting change. The only downside is that it is quite a commitment. When you start allergy shots, during the first 6 to 9 months the shots are administered weekly. Physicians monitor their patients reactions as they are going through the build up phase with the shots. The number of children with food allergies has increased in westernized countries over the last 30 years, however researchers have not found a proven cause. It is widely known that peanut allergies have tripled in the last 15 years. Because of this, many parents avoid giving their youngsters peanuts, eggs and other highly allergenic foods. However, recent research is showing that this strategy may actually be leading to more food allergies, because children’s bodies don’t get a chance to be exposed to these foods and react normally when they are younger. Food allergy symptoms can range from mild to life threatening (also known as “anaphylaxis”) and often require immediate attention and medication. On a side note, The Leap Study, conducted in 2015, concluded that introducing peanuts early can an actually decrease the risk of peanut allergy development by 80%. It is now recommended to introduce commonly allergic foods, such as cow’s milk, eggs, peanuts, tree nuts, wheat, soy, and fish to children in infancy. If your baby has eczema, or there is a family history of childhood food allergies in parents or siblings, you should first discuss introducing these foods with an allergist. As long as your baby doesn’t have eczema and no family history of a food allergy, introducing specific highly allergic foods earlier can help promote normal development. When it comes to food allergies, it is always better to proceed with caution, and ask to see an allergist if you are having allergy symptoms when you eat a food. Contact allergies happen when you develop an allergic rash after being in direct contact of the allergen or substance, for instance: metals, jewelry, tattoo ink, make up, perfumes, sunblock, scented lotions, detergents and even cleaning products. It is possible to develop this type of allergy over time, and is more common in adults. See a dermatologist to be evaluated if you experience a contact allergy. The best way to determine, if in fact, you do have an allergy to a specific substance is testing. 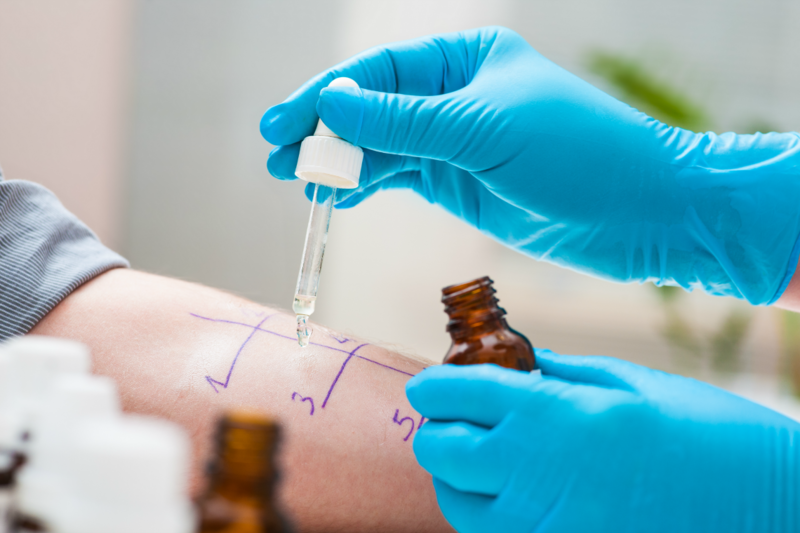 Allergy testing involves having a blood or skin test to find out exactly which substance, or allergen is triggering a reaction. My daughter and I have been through both types of tests. This is a common misconception based on the fact that old blood testing wasn’t as accurate – no longer the case! Testing is most accurate when there is a clear history of allergic symptoms such as itching or swelling with exposure to the substance. If you present a mild allergic reaction such as hives, an oral antihistamine like Benadryl is typically recommended by a physician. However, more severe reactions can be life-threatening and may involve hives and vomiting; hives and face swelling; face swelling and breathing problems; an Epinephrine Auto Injector is necessary to stop the reaction. It is always beneficial to know exactly how to use an epinephrine auto injector. Dr. Burnette shared that there are many free online tutorials by pharmaceutical companies that sell the product. Once it is used, person needs to go to the emergency room to be checked. 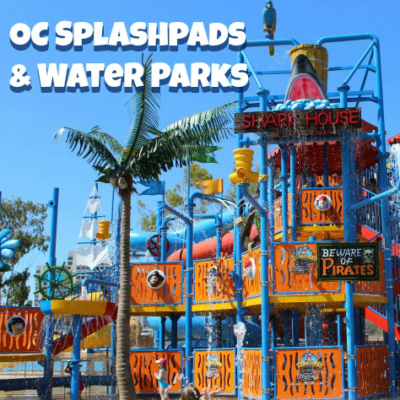 It’s great that a health care provider like Kaiser Permanente Orange County and their physicians, go beyond simply offering health insurance coverage. One of my favorite features of being a member is ability to select from many services such as: primary and urgent care, emergency facilities, labor and delivery, pharmacy, and lab all housed under one roof. While members move from physician to physician, one thing remains constant – your file with detailed notes. Doctors at Kaiser have the ability to see every detail of every visit as well as all medications prescribed, imaging and blood test results. They become a families’ health care partner. Whether explaining the nitty-gritty on how to read plan coverage, to sharing what to expect at doctor’s visits, to making sense of the latest in health care news, they’re a great source of information for moms and families. Additionally, when you register through kp.org you can view most lab results, email your doctor’s office non-urgent questions, schedule and cancel routine appointments, and even manage a family member’s health. 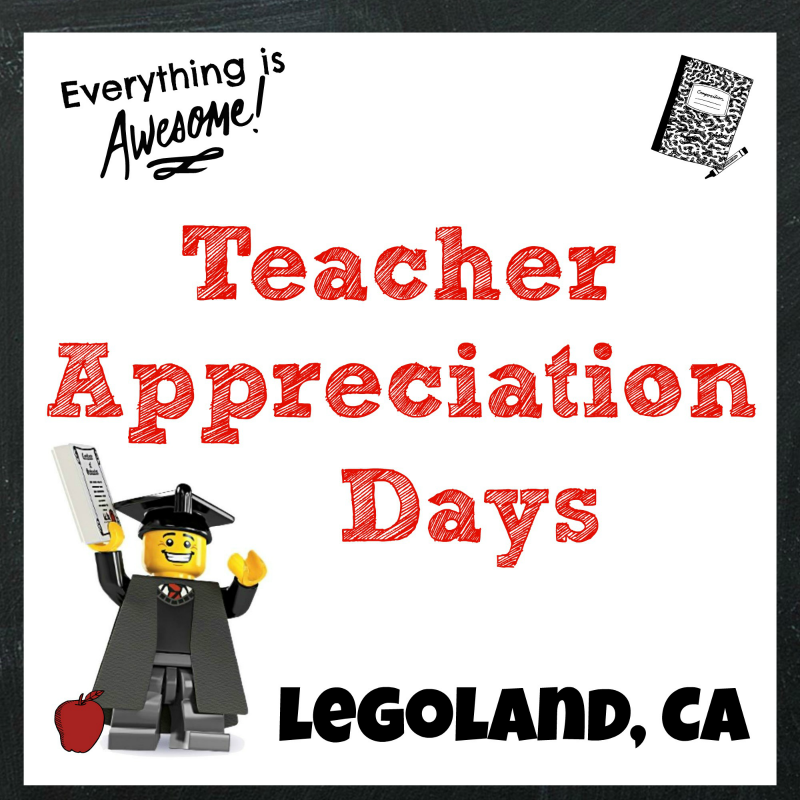 Find out more today at: kp.org/orangecounty.